Automatic and manual detection with buzzer indicator. Electronically locates hidden ceiling joists, wall studding, power cables, gas and water pipes. Requires 1 x 9V battery 38240 . 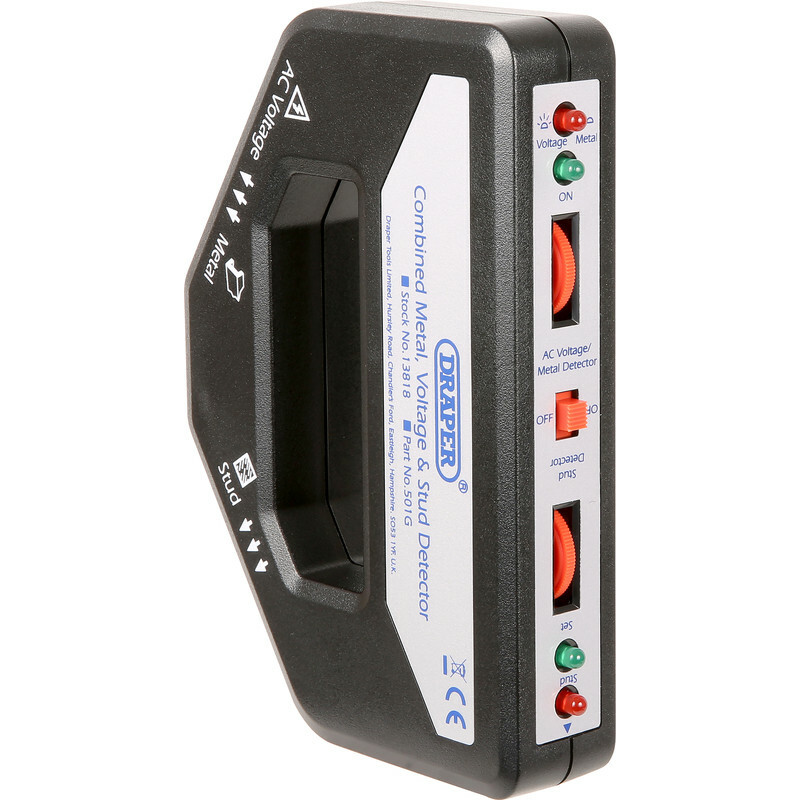 Draper 3 in 1 Detector is rated 3.0 out of 5 by 43. Rated 1 out of 5 by Paolo78 from Doesn’t work Bought it this weekend, it just doesn’t work properly. The stud alarm (super annoying btw why not just have the light??) went off even on the lowest sensitivity as soon as you pressed it to the wall. The voltage finder couldn’t detect a cable above a light switch that I know to be there and was drowned out anyway by the metal stud alarm which sounded continuously against a brick wall. Took a punt as this was cheap, but it’s just rubbish. Do not buy. Rated 5 out of 5 by Budd_budd from Beeps when it should Finds stuff then beeps. Can’t complain. Bear in mind mine came with batteries, even though it says it doesn’t. Rated 5 out of 5 by Notaname from Exactly as it says on the box Very happy with the purchase of my Draper 3 in 1 Detector. Excellent service.